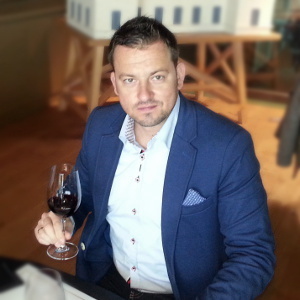 Wine Center was founded by Piotr Kalinski, sommelier, wine enthusiast and wine collector. He has gained an extensive experience in wine while travelling and learning from the best. He worked with some of the best Chefs in the world like Michel Roux, Jean-Marie Zimmermann, Vicky Ratnani and Olroyd brothers. He regularly attended wine courses, seminars, international wine tastings conducted by largest and the most important wine organizations. Piotr Kaliński has cetificates from Wine & Spirit Education Trust and prestigious Court of Master Sommeliers, organisation supervised by wine icons, Gerard Basset and Brayan K Julian. For over ten years he’s been working as a sommelier at the largest and most prestigious Cruise Lines such as Celebrity Cruise Line and Cunard Cruise Line followed by famous Queen Mary 2 and Queen Victoria. As a sommelier he has opened thousands of bottles of various wines, gave an expert advice to many young adepts aspiring to work in a restaurant, made countless tastings for both guests and crew and assisted in culinary demonstrations. He is lucky that he could combine his two passions, wine and travel, and thus deeply discover wine regions and winemaking philosophy. He was travelling all over the world and everywhere he could, he was visiting wineries just to understand the local wines. He has met so many wonderful people working in wine business with whom he made so close, friendly relations. He has seen so much and tasted so much, but he is still loyal to and amazed by the great wines from Bordeaux region. He has influenced so many people with his love for wine and he is hoping to influence more.